I have a deep love for zucchini breads of all kinds. I make them all the time. Up until recently my favorite had been a coconut zucchini bread (recipe another time, ahem), but my top spot has now been replaced by the ultimate, the best, most amazing (according to Ali) Chocolate Zucchini Bread. I came across this recipe while participating in a fun little foodie event, the Secret Recipe Club, hosted by the great Amanda's Cookin'. The idea of it is you are assigned a fellow food blogger each month, it is kept a secret of course, and you go to their food blog and pick a recipe (or more) to make. On the assigned date, everyone posts their creations and you go and visit and see all the goodies that were made. Sort of like a secret Santa, right? I have been a follower of Amanda's Cookin' for a long time. The funny thing was as I was bopping around the food blogs for at least the past year, I could almost always recognize one of her food photo's. I know in the past she would take her plate of food out to her deck and photograph it on the ledge, so there was always fantastic lighting and a bright pop of green grass. Isn't it funny how you can learn to recognize another bloggers photographs just by the lighting, the backdrop, etc.? Anyhow, I've always had a ton of her recipes on my to-do list. I've been pretty bad about blogging the new recipes I've tried, so it was definitely time to try something from her website out. So here is what you need to know about this Chocolate Zucchini Bread. It is really moist - thank you zucchini and sour cream! It has amazing flavor, especially due to the addition of orange zest. I wasn't too sure about it when I read the recipe, but it is to die for. It has a crunchy, sweet topping, which provides a nice contrast to the chocolaty, moist zucchini bread. I would please ask (okay, beg) you to try this recipe as it is written the first time around before you change it up with alterations. Normally I wouldn't say that, but it is that good as it is. I did cut the recipe in half, which after I tasted how fantastic it was, I wished I had made the full recipe. It should be easy to halve for you. I used 2 eggs, since it is pretty hard to measure 1 1/2 eggs. I had sort of an brain fart moment when I was halving the cocoa powder and didn't add as much as I should've. No matter, it was incredible. My daughter ate it and loved it, at least until she saw a tiny bit of green from the zucchini then refused to eat anymore. Hah - such is the way of super picky 3 year old eaters. My 2 year old loved it so he and I are able to share it between us. More for us! One last note about how this roundup is organized. There is a linkup at the bottom of this post that will display all of the participating blogs. Each blog should have this same exact linkup, so that allows you to hop from one blog to another and not lose track of where you are going. Pretty cool if you ask me. 1. Preheat your oven to 350-f degrees. Butter and flour two loaf sized pans. Prepare the topping and set aside. 2. In a bowl, whisk together the flour, cinnamon, baking soda, salt and cocoa to remove any clumps and to incorporate fully. 3. In another bowl, beat together the oil, sugar, brown sugar and eggs for 2 minutes. A hand mixer is handy but I mixed by hand and it worked fine. 4. Add the vanilla and sour cream to the egg mixture. Stir to combine. 5. Gently stir in the zucchini and orange zest to the egg mixture. 6. Toss the chocolate chips with a spoonful of flour (this helps to stop them from sinking to the bottom of the bread). 7. Add the flour to the egg mixture, gently folding it in and being careful not to overmix. Add chocolate pieces. 8. Pour the mixture evenly between the two pans. Top with the sugar and cinnamon mixture. 9. Bake for 50-60 minutes until a toothpick or sharp knife inserted can be removed cleanly. Cool for 10 minutes then remove from pan and set on a cooking rack or dish. As a reminder, you can follow the blog hop by hopping from one blog to another. Each blog should have this code so it is very easy to hop from one blog to another. What a great looking zucchini bread. Chocolate always does the trick, doesn't it? MMMM, an orange chocolate zucchini bread sounds wonderful. What a great recipe! This bread sounds amazing. Very similar recipe to one of my favorite zucchini breads from the Silver Palate cookbook by Sheila Lukins. You'd probably also like Judy's Banana Chocolate Chip bread which would benefit from the addition of zucchini. check it out. tell me what you think. Now I know what to make when my neighbor brings over some zucchini from their garden! Mmmm, it looks so moist and rich! Yum! This sounds great - I love chocolate zucchini bread! The addition of orange zest sounds really good. That looks so incredibly moist. Eating veggies would be a delight with a bread like this. IYum, I love any kind of bread with chocolate inside. Great combo. Oh how I want a slice or two right now!! Looks so delicious!! Looks so good! I love anything with zucchini! Did I mention that I adore your blog! Thanks for the info on the Secret Recipe Club! WOW. My mouth is watering right now. I am a sucker for sweet baked breads! I have several variations of banana bread that I make all the time. But I am definitely saving this recipe to try SOON! Thanks for sharing! P.S. Found your link on the Dittle Dattle party. This is my first month in The Secret Recipe Club and it's so much fun! I'm just loving all the new blogs and recipes I'm seeing. I can't wait for our zucchini to come is so I can try this recipe. Thanks for sharing this recipe. I need more recipes for all the zucchini growing in my garden...my friends have started locking their car doors so I won't fill it up with squash! I love the secret recipe club idea! That sounds like a lot of fun. So, I am now waiting for this elusive coconut zucchini bread...I bet it's awesome. The chocolate with orange zest is one of my favorite combos. Thanks for posting this (and thanks to Amanda, too!). What a yummy addition to Sweets This Week! What a yummy treat! Thanks for sharing it with Sweet Tooth Friday. I just joined the Secret Recipe Club! Can't wait. This bread looks yummy. Yum! 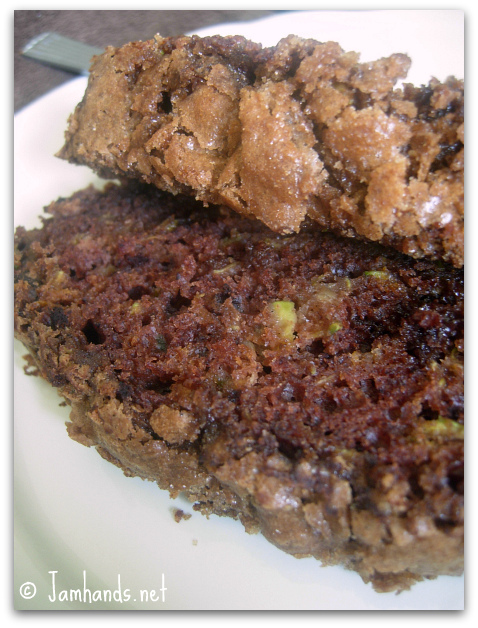 I love a good zucchini bread, especially if it includes chocolate! Can't wait to try this one! Oh my goodness!! I just discovered your blog and I cannot believe all the links to heavenly foods!!!!! I am excited! 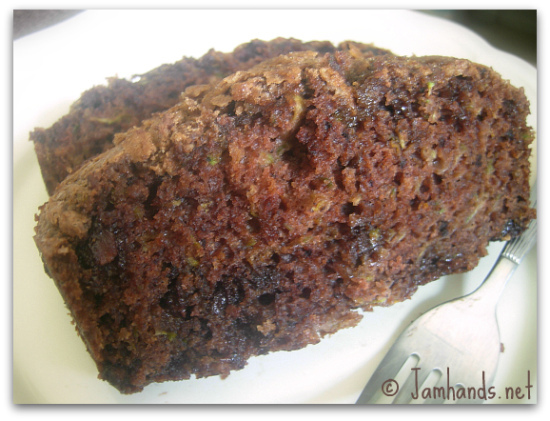 I love the moistness of zucchini bread and adding chocolate to it is even better! Thank you so much for linking up to “A Little Birdie Told Me…” at Rook No. 17 last week! I apologize for the belated visit…this week has been a real beast disguised in fondant and frosting. The Secret Recipe Club is a new one to me -- one that I'll definitely have to check out. Zucchini bread is my absolute favorite type of sweet bread. In fact, I have a few zuccinis in the kitchen -- planning on making some feta thyme muffins with them, but now I'm thinkin' chocolate zucchini bread!